Get our Deluxe Advanced Guide with all features unlocked, and see why 10,000,000 people have used this app! If you’re looking for an AD-FREE experience with all of our app’s rich features, this is the app for you. 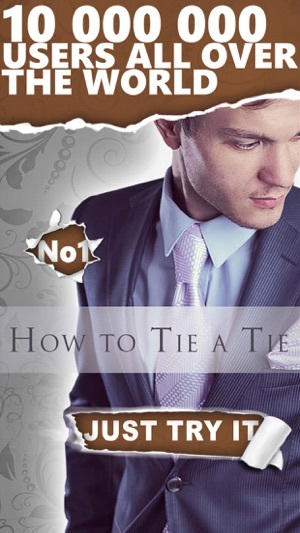 • CLEAR and EASY – Follow the simple instructions, and you'll be able to tie your tie on your own. 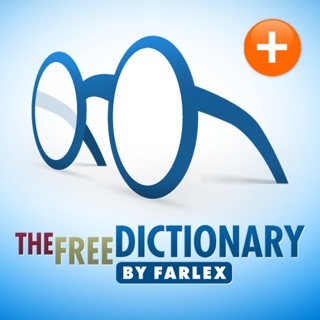 • HELPFUL and HANDY – Just launch the app and put your device in front of the mirror. Get it done fast! 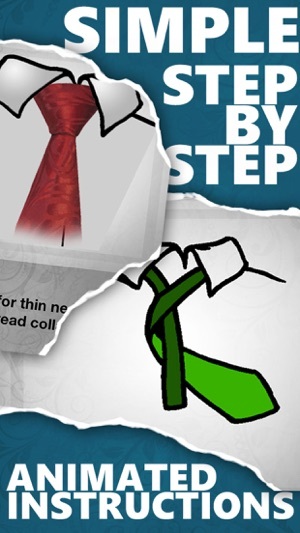 • Animated instructions show you the exact steps and motions to tie your tie. 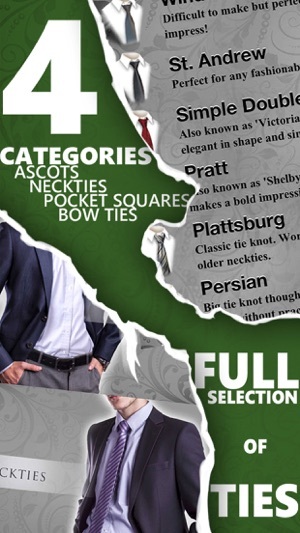 • More than 30 popular necktie knots (Windsor, Eldredge, For-in-Hand, Trinity), bow ties, ascots, pocket square folds and men's scarves. • Build a list of your favorite tie instructions. • Our Virtual Mirror feature lets you follow the instructions while seeing your own actions right on the screen. 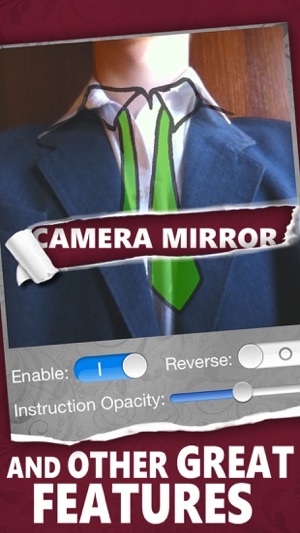 Make life easier with the How to Tie a Tie app. You'll be ready for weddings and other big events in your life. 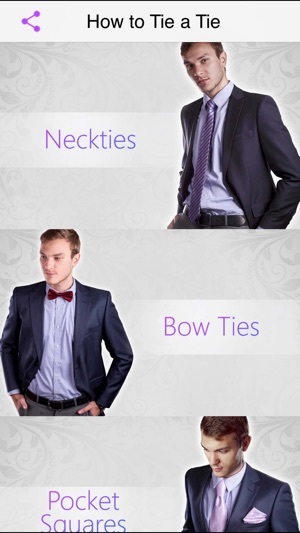 Get the best Tie app, and get it done fast! Join our millions of satisfied users. I very much enjoy using this app, but after I made a purchase on one phone, I got a new phone and the app would not transfer the purchase to the new phone. I tried emailing customer service, but have not received a responses not the months of waiting. 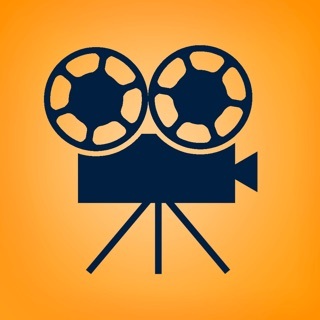 Over all awesome app. Have used the app many many times and its always worked as expected. Wish every app could be this reliable. I now have a resource that will enable me to stand out from the rest. This app has helped me tremendously improve my style while boosting my confidence as a self made gentleman.